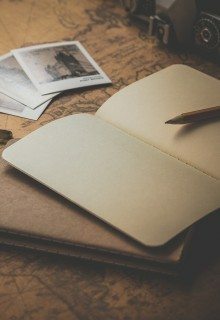 If you are, like me, having a transfer in the capital of Sri-Lanka for one day, or going to a trip on the island and visiting the city before (you won’t need more than a day in any way), this post is for you! UPDATE: I came back to Sri Lanka a couple of months later for a full exploration of the country, climbed Adam’s peak, went to Sigiriya, hiked to the World’s End and many many more cool stuff! 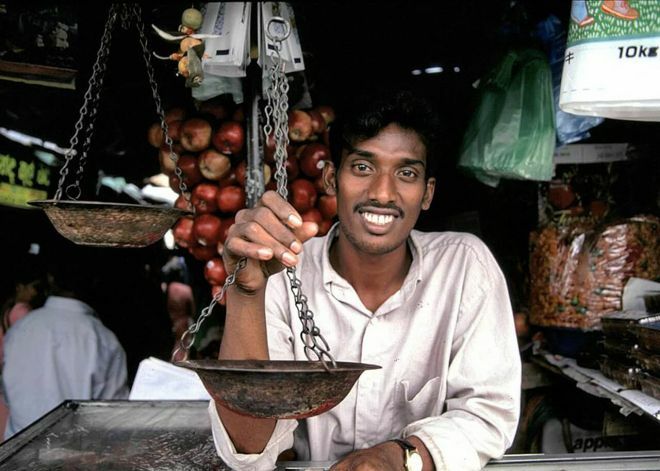 Street food is very popular in the city – you should try Sri Lankan coffee ( I loved it! ), real Ceylon tea (of course! ), hoppers (some kind of a pancake) and kottu. To see the list of traditional dished that can’t be missed, click here. UPDATE: If you want to see these (and many more things in 1 day with an organized excursion, I really recommend this one. 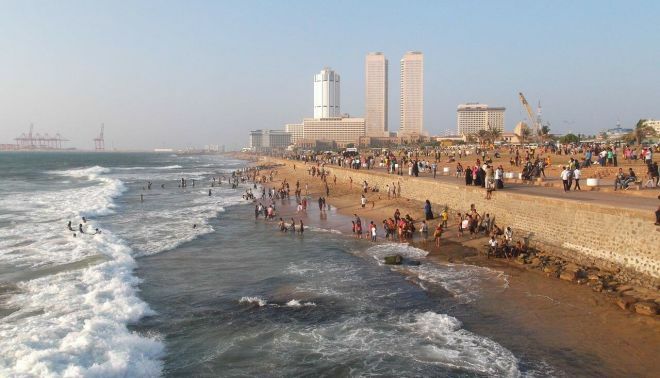 During the full day you will get a sense of Colombo’s colonial roots, barter yourself to a bargain at the colorful markets of Pettah, stroll along the promenade at Galle Face Green and many more things! See the full description here. My friend Mike has a great article about Colombo. As he has been in the city for longer than me, so he can share can share some valuable info, check it out! amazing sunset in Galle Face beach! 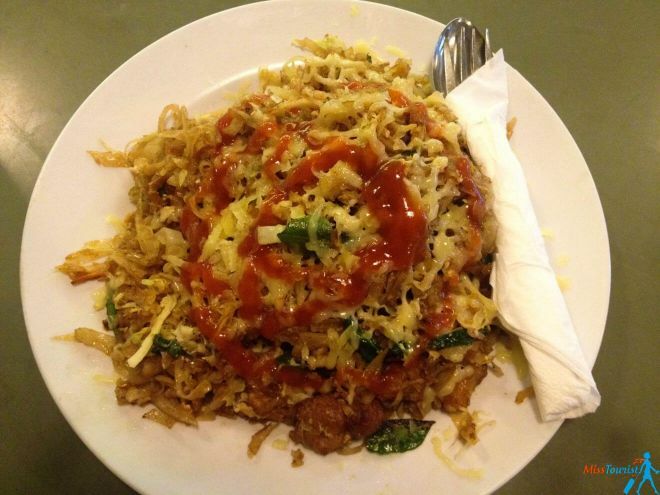 Kottu – one of the most traditional dishes. Check out other Sri Lankan food here! P.S. Things that I missed, but if you have time visit it, you might want to check them out as well. Taxi – it will cost you around 25-30 USD. To avoid all the hustle, you can also book a taxi in advance (more expensive, but you can be sure that you will be greeted, will have a comfortable car and certified driver). Bus – when you get out from the airport, just turn on the left, cross the road and you will see a bus that says Express Colombo on it. The price is 130 rupees that you pay directly in the bus. (So change money in advance). It will take you to the central bus station in around 40 mins. 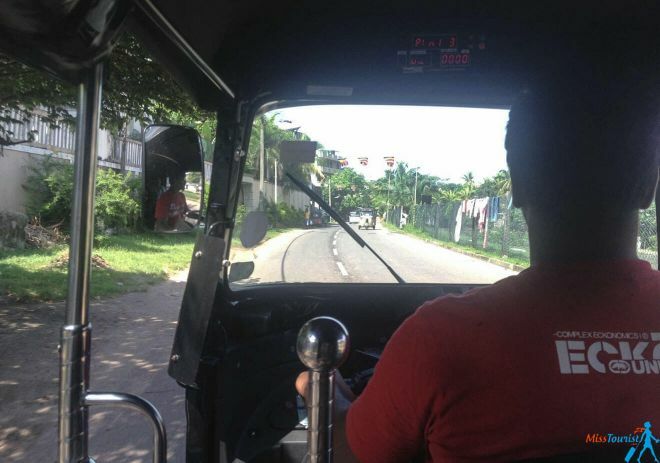 Tuk-tuk – all the tuk-tuks are equipped with taxi meters, insist they switch it on when you go. You should also use this transportation when in the city, I do not recommend to take a bus. Do take a local sim card in the airport. It has already some credit on it that will surely be enough for one day with local calls and using internet. Attention! They would want to sell you a package that costs from 6 to 9 dollars. If you are there just for a day like me, you absolutely do not need that! There are free sim card that have some credit on it already and they are ready to use. Do not believe them if they say it won’t work unless you top it with more. They are just trying to make more money, that is it. Having a local sim card is very useful, as it will help you a lot to navigate in the city using the internet. If you are there for more then a day, just charge it with more when the balance is 0. I used Dialog, though they are couple of companies offering this free service. You can also ask for your specific type of sim card. If you need it for an Iphone for example, just ask, they have it. Though I have never been to India, Colombo feels like a nicer (a little less crazy) version of Mumbai to me. You feel it right away when you step your foot in Fort – the central bus station. All those noises everywhere, cars horning, people screaming and heat and humidity – little India, isn’t it? I used a local bus just out of the curiosity, it was an interesting experience. It costs around 20 rup (so, 20 cents), super noisy, hard to understand where they are going and where the stops are. Moreover, BUSES DO NOT STOP! Its’s more like you hop on/hop off when it goes slower a little bit. For this reason the doors are always open. There are many beggars everywhere, and certainly, they think tourists just have to give them money. White face = big wallet. I am okay to give a little tip to a museum keeper who opened some closed doors for me to show me stuff and asked for money. But asking for a “donation” for just pointing where the bus stop is, that is a little too much! Middle price ($50-$100) – Olu Colombo Villa – super pretty and hospitable, this hotel has simply outstanding reviews and shouldn’t be missed when in Colombo! ; Ocean Breeze Apartment Colombo – great location in the center of Colombo, 5 minutes walk from the beach, pretty rooms, good price, 9,1/10 score in reviews – I would gladly stay here! Budget (up to $50 a night) – Colombo City hostel – fantastic location and great reviews, it only has 3 rooms, so hurry up to book it, The Deane Residence – perfect place to meet other travelers, good vibes and also clean, if you hurry up, a bed can cost you as low as 10$! UPDATE! I have come back to Sri Lanka again afterwards and traveled solo for 3 weeks almost entire island! And many more awesome things! You can see all my Sri Lankan articles here! Have you been to Colombo? Was your impression of the city different? Sigiriya, Sri Lanka – what to see, what to climb Sri Lankan food – MUST eats Challenge yourself, climb Adam’s Peak! 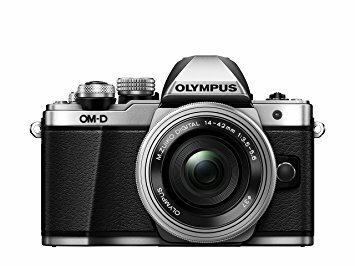 Can you please suggest the places to visit? i am travelling to Colombo for a week, during weekdays i will be occupied with work till 6 pm and i am completely free on weekends. Please check my other articles on Sri Lanka, you will see I have tons of tips! Apart from Yulia’s recommendations I can suggest few more places. Colombo dutch hospital area is a good place to chillax after good hard day. Check for live band shows and street food festivals. Gangaramaya seema malaka and Galle face green has nice vibes at night. Since you are staying only one weekend, Galle & down south is the best choice. You can visit Galle fort, Jungle beach, Unawatuna beach, Dondra light house southernmost point of Sri Lanka, Parevi duwa Matara. And you can do activities like whale watching at Mirissa, Scuba diving around Unawatuna, Surfing at Weligama. If time permits you will be able to do most of the stuff . Don’t forget to have dinner at Wijaya beach. Wijaya beach is mesmerizing place at night and you’ll love it. Can you please tell me more about the adventure safaris. This is great – thank you so much Yulia! 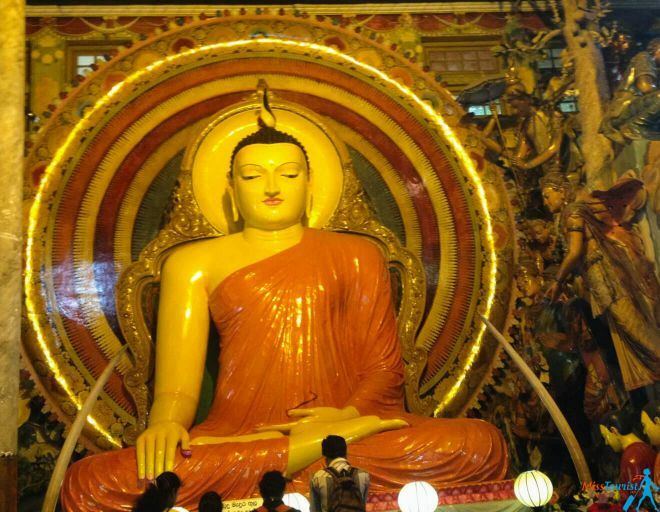 I’m planning a trip to Sri Lanka in August, and will be trekking / sightseeing by myself for part of it – I’m happy to see that it’s do-able and pleasant. I read a few of your other pages and was wondering when (which season) you went to Sri Lanka – I would like to spend time in Ella, Horton’s Plains, Sirigiya, etc. – but am concerned about the weather differences (from Colombo or Kandy, big cities, to the center of the country): humidity, rain, etc. Is there any advice you could give me about taking this into consideration? Thanks! Hi Maya, thanks for your feedback, i am glad you found my Sri Lanka article useful! in terms of weather – it is pretty much always a good time to visit – when it is rainy season on one side, it is sunny on the other! High season is from Dec to March (Thats when you want to climb all those sights you mentioned), it is going to be rainy from May to August in the Hill region, but North and East side of the country will have good weather. April and Sept-November is considered to be a shoulder season. But remember, that those are just forecasts, you never know what really will happen in Sri Lanka! I have been there for Christmas, and I caught a lot of rainy days. Thus, just go when you can, just set the schedule when already there according to weather conditions! 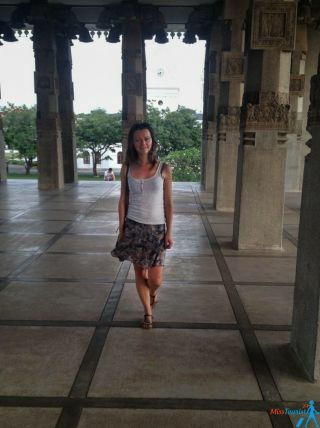 Hi Yulia, I’m planned for my honeymoon at colombo. I’ll be staying there for 3 days. planned to visit Bentota too, Can you gemme any suggesion on SIM,UBER Ride, shopping ? Hi Ram! I dont know much about shopping there, I am not sure if Uber exists in Sri Lanka, but I can recommend this transfer. As for the sim card, you can get one right in the airport (it will have some tourist tariffs (read – more expensive). If you are staying for a week or more, i recommend buying a sim card in any operator office in the city. There you will have local prices. The internet is really good on the island by the way. I took trains many times in the country, also alone (though you will probably meet more travelers on the road) and I can say it was safe. Just use common sense – dont leave your bags on the floor unattended etc. There are bike rentals in each city, I remember I used it a couple of times and it was beautiful! be careful with the traffic in Colombo and be aware about a lot of attention you will draw asa foreign girl alone on the bike (it is nothing dangerous, but can be a bit disturbing for some people I guess). We loved Galle too, and absolute must-see! Hey Yulia! Very nice blog, congrats! Is it easy to get this free SIM card ? I know that depends of the Traveller profile but in your opinion 200 usd for one day is ok ? getting the free sim card wasnt that easy actually, they will try to sell you some other options, you should insist on getting the one that is completely free. 200 USD should be more that fine, Colombo is not expensive. Good to know that, thank you! 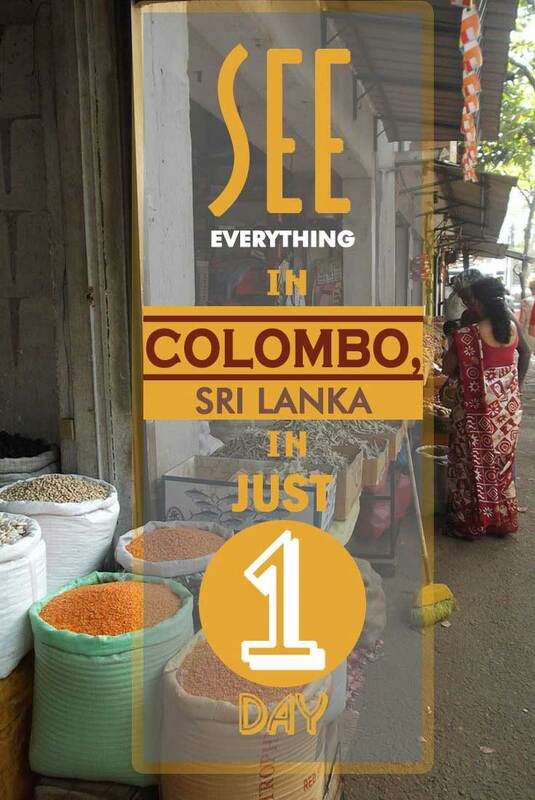 Excellent guide lines for visit to Colombo in simple words. Awesome Article about Colombo, Sri Lanka, it’s amazing within a day you covered all these places and also posted some amazing views in here.View of the Galle face Green is my favorite, and now switching to your journey through Sri Lanka article cheers. This is nice and honest article about Sri Lanka Yulia. Its a great help to prepare for a travel in that wonderful country.